Winter has officially set in throughout most of the country. The days are short and the temps are cold. 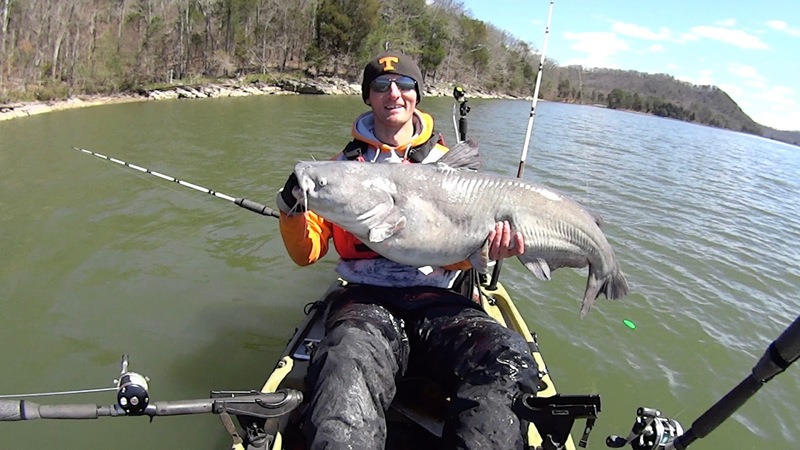 For many people, kayak fishing is over until spring arrives. There are many of us that still want to continue fishing during these winter months though and it can be done as long as you exercise extreme caution. Safety should always be your top priority when kayak fishing but it becomes even more important in the winter. There is never a good time to flip or fall out of your kayak but the stakes are much higher this time of year. Rolling your kayak in the summer may cost you some gear but rolling it in the winter can easily cost you your life. It only takes a few minutes for hypothermia to set in with water temps at winter levels. 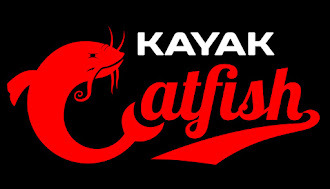 Below is a list of tips that can help keep you safe while kayak fishing during the winter. 1. Always wear your PFD. This needs to be worn year round but it is absolutely imperative in the winter. 2. Keep a dry bag with emergency supplies in your kayak. This bag should include a change of clothes, towel, fire starter kit, first aid kit, and some food and water. 3. Fish with a partner. This is a good idea at any time of the year, however, with only minutes before hypothermia takes effect should you go overboard, having a partner with you may save your life if an accident was to happen. 4. Do not wear waders in your kayak. Contrary to popular belief, you won't sink if your waders were to fill up with water. 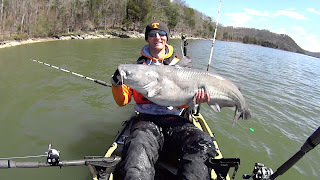 You will have a much more difficult time getting back into your kayak due to the extra weight though. 5. Avoid cotton clothing. Cotton loses its insulating properties when it gets wet. Dress in layers and wear wool or synthetic materials instead. If you can afford it, a dry suit is the best option. 6. Always tell a family member or friend where you will be going and what time they should expect you to return home. If something goes wrong, you want people to know where to come find you. Winter doesn't have to mean the end of your fishing season. There are many species of fish that continue to bite all winter long and there is hardly any pleasure boat traffic this time of year. If you can tolerate the cold temperatures, get out there and enjoy yourself. Just be extra cautious while you are on the water. Justin, I just watched a video of somebody who fell in to 45degree water when it was 50 degrees outside and had to pedal 3 1/2 miles back to the car. Almost had hypothermia when they got there. Then I watched your video. Very timely. I don't have any of that stuff so it is time to get with the program. What size dry bag do you carry? Steve, I have had that bag for so long I can't even remember what size it is. I would recommend getting a large bag though. You can always roll down the excess length and still have room available if you end up adding more stuff later.